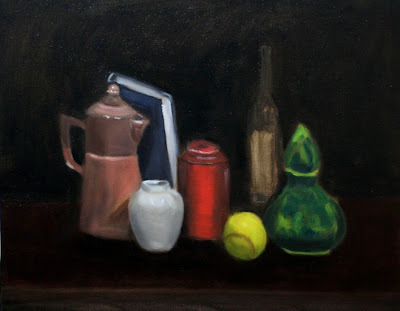 Today, I darkened background to bring out objects forward. And I put a bit more details on them. It's fascinating to see how much things change by simply making the background darker.